We are pleased to announce that our series of short contemporary dance films, “Tafal: Moulding Memories into Dance” launched today at tafal.org. Tafal is an interactive project that saw dancers, choreographers, filmmakers, designers, makeup artists, costume specialists, developers and historians collaborate to produce five captivating short dance films. These films—inspired by the maritime objects and stories collecting during the 2014 edition of Qatt ma Ninsa—were filmed in locations across Malta and set to music by local performers including Kantilena, Brodu and Plato’s Dream Machine. 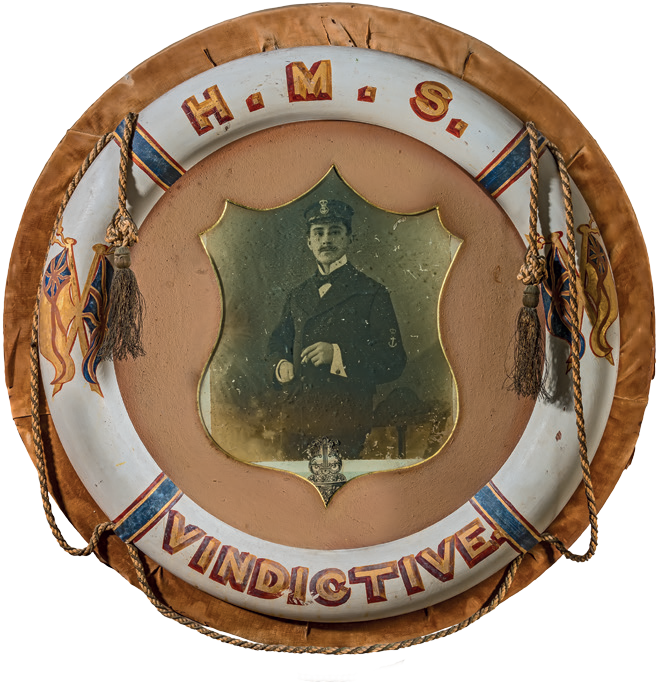 One of the curious historical objects that inspired the Tafal project is this WWI memento from the H.M.S. Vindictive. Every object has a story, and this object is no different. See how Tafal moulds this story into dance, and go behind the scenes with ŻfinMalta ensemble dancers Zoe Camilleri and Martina Zammit, as we preview one of the films in the Tafal series (below). Four other curious historical objects, their forgotten histories, and the short films preserving them await at tafal.org. Rosario Merola was an Italian violinist enlisted with the Royal Navy in the 1890s. He eventually settled in Malta, and with his charisma and talent soon became a popular and sought-after barber. He owned and managed four sumptuously equipped salons that were patronised by Maltese and English high society. He attended to various Royals who visited Malta and his haircuts were the most fashionable in town. / Rosario Merola kien vjolinist Taljan imniżżel mar-Royal Navy bejn l-1890 u l-1899. Eventwalment hu ġie joqgħod Malta u bil-kariżma u t-talent tiegħu malajr sar barbier popolari u mfittex. Ta’ barbier xtara u mexxa erba’ ħwienet li kienu mgħammra tajjeb ħafna tant li kellu klienti Maltin u Ingliżi tas-soċjeta` għolja. Kien jaqdi wkoll xi nies irjali li ġew iżuru lil Malta u l-qatgħa tax-xagħar tiegħu kienet l-iktar qatgħa tal-moda fil-Belt. Bi pjaċir inħabbru li s-serje tagħna ta’ films qosra u kontemporanji taż-żfin “Tafal: Inbiddlu Memorji fi Żfin” ġiet mnedija illum fuq tafal.org. Tafal huwa poġett interattiv li ġabar fi ħdanu żeffiena, korjografi, nies li jaħdmu fil-films, disinjaturi, artisti tal-makeup, speċjalisti tal-kostumi, żviluppaturi u speċjalisti tal-istorja li kkollaboraw flimkien biex ipproduċew ħames films qosra taż-żfin. Dawn il-films – ispirati mill-oġġetti marittimi u minn stejjer li nġabru matul l-edizzjoni tal-2014 ta’ Qatt ma Ninsa – kienu ffilmjati f’lokalitajiet mifruxa ma’ Malta u jinkludu mużika minn aritsti lokali bħal Kantilena, Brodu u Plato’s Dream Machine. Wieħed mill-iktar oġġetti storiċi li qanqal kurżita` u li spira l-proġett Tafal hu tifkira tal-Ewwel Gwerra Dinjija mill-H.M.S. Vindictive (fuq). Kull oġġett għandu storja, u dan l-oġġett m’huwiex differenti.